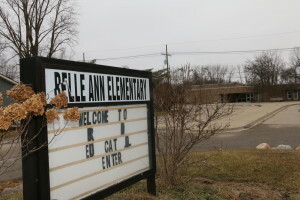 Brandon Twp.- Two bidders are vying to purchase the abandon Belle Ann school building, which has been for sale since 2013. The school board gathered in a special meeting on Monday to discuss the two offers. “They’re still willing to offer the same as they did in 2008,” said school board president Diane Salter, reading a letter from Barry and Anita Bass. The area business offered $500,000 for school and property. Terms of $100,000 down with a five year land contract. 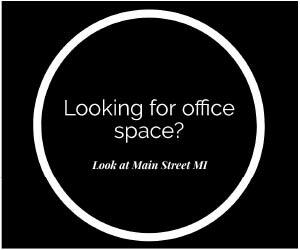 As stated in the letter, Bass would have a five percent interest rate on the land contract, and it would be used as office space. Bass also purchased the Brandon Fletcher Intermediate School building in 2018. However, another interested party attended the special meeting of Feb. 4. Chuck Schneider, owner of several businesses, including a storage facility and Spa on the Lake in Oxford, and owner of Stonegate Farm in Lapeer, offered the board $550,000 for the building and property, with the same deal of a five year land contract. “You ready for this? I’m going to live there,” said Schneider at the meeting. Schneider plans to set up classrooms as what he calls vignettes, rooms set up with antiques to look like a post office, an old classroom or other antique settings. Schneider is a collector, and feels the building would be more than adequate to house his collections, his restored cars, and the seven tractors he is still restoring. He also wants to have the building be open to the public, for things like charity events, art shows and field trips. The soonest the board will make a decision is at their regularly scheduled meeting on Feb. 11.